Through an expected Tuesday morning phone call, Sovereign-Star Racing team co-owner George Bryce was informed by two-year team racer Scotty Pollacheck that Pollacheck would be departing as the team’s No. 6 racer for the remaining four races in the NHRA Mello Yello Series Countdown to the Championship. 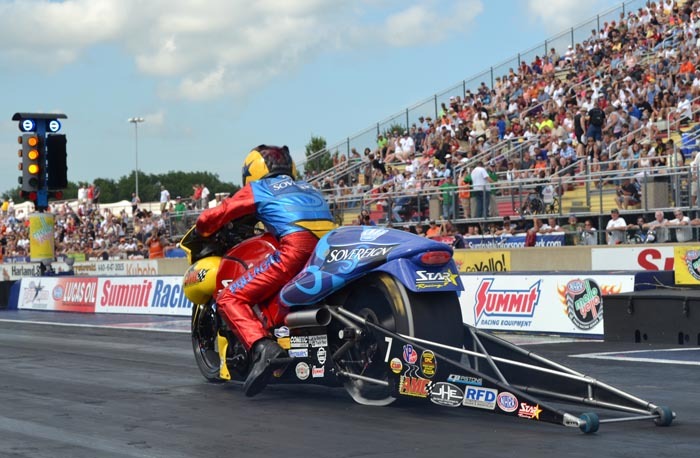 Pollacheck stated that he will continue racing independently in the Countdown on a Pro Stock Motorcycle purchased from Matt Smith Racing, beginning with this weekend’s AAA Insurance NHRA Midwest Nationals in St. Louis, Mo. Since joining the Sovereign-Star Racing team as a rookie for the 2012 season, Pollacheck has posted 27 round wins, including competing in three final and two semifinal rounds of competition. He also posted his career best ET (Elapsed Time) and the low ET of the event for Pro Stock Motorcycle at the 2013 NHRA Four-Wide Nationals in Charlotte, N.C.
“Over the past two years, it has been exciting and rewarding for our Sovereign-Star Racing team to watch as our drivers and our race program have developed and improved. It was a big shock for us to learn that Scotty (Pollacheck) is resigning from the team, but that is his decision so we are just making the best of our situation. We still have to honor our commitments to our sponsors who are expecting us to run two motorcycles for the rest of the season,” Star Racing owner George Bryce said. After Pollacheck announced his decision, the Sovereign-Star Racing team scrambled to secure another professionally-licensed racer that could drive their S&S Cycle-powered Buell for the remainder of the season. Sovereign-Star Racing crew member and developmental driver Chaz Kennedy has been training with the team with the intention of racing a Suzuki for them during the last few races of the season. After the sudden news from Pollacheck, Bryce and his team made the decision to continue their two-motorcycle program with Kennedy piloting the motorcycle. “We’ve been planning all year for Chaz (Kennedy) to get some seat time at a national event to get more experience before his official rookie season in Pro Stock Motorcycle. 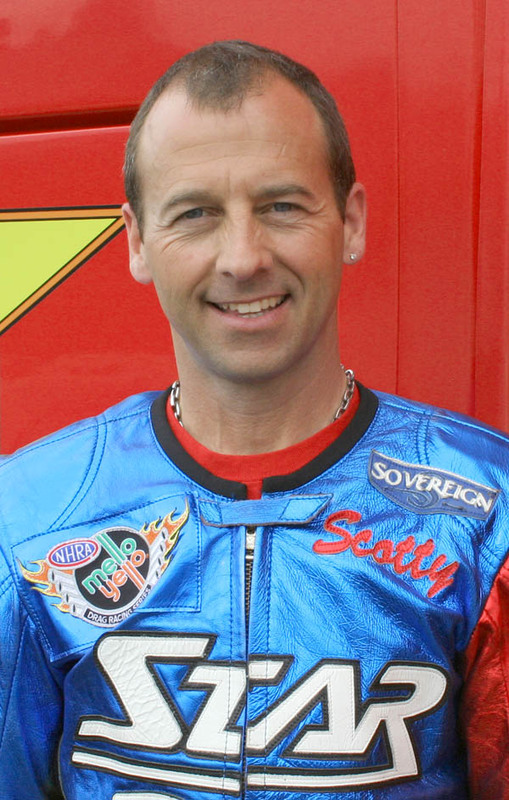 Originally, we thought that he would drive our Suzuki at Vegas and Pomona, as long as it wouldn’t take away from our championship runs with Scotty (Pollacheck) and Michael (Ray). With the current situation, we thought Chaz would be the best option to allow our team to fulfill our sponsorship agreements. We are very excited about his potential and ready to see what he can do this weekend in St. Louis,” Bryce said. The Sovereign-Star Racing team will release an official pre-race article with more information on this weekend’s AAA Insurance NHRA Midwest Nationals prior to the event. The Sovereign-Star Racing Team would like to thank the following sponsors: Sovereign, Star Racing, Americus Motorsports Complex, S&S Cycle, Daytona Sensors, Worldwide Bearings, CP Pistons, Cometic Gaskets, and Uncle Hal Gottspeed Racing.